HotelsCombined – Marrakech Hotels – Search and compare all Marrakech hotel deals from hundreds of accommodation sites at once. visitmorocco.com – Marrakech – Official Marrakech page from the Moroccan National Tourist Office. Travel Marrakech – Travel guide featuring sightseeing, events, monuments, hotels, riads, going out, restaurants, and shopping. moroccotouristguide.org – City guide for Marrakech. The Good Life In Morocco – An British family in Marrakech. My Marrakech – One woman’s tale of life and her family’s quest to build a guest house in Marrakesh. The ultimate planning resource for Marrakech, Morocco – Amanda and her Moroccan/American family live in Marrakech, and this guide at marocmama.com covers Marrakech for visitors. What to do for three days in Marrakech – By findingtheuniverse.com. 8 Things to do in Marrakech, Morocco – By foodandphotosrtw.com. 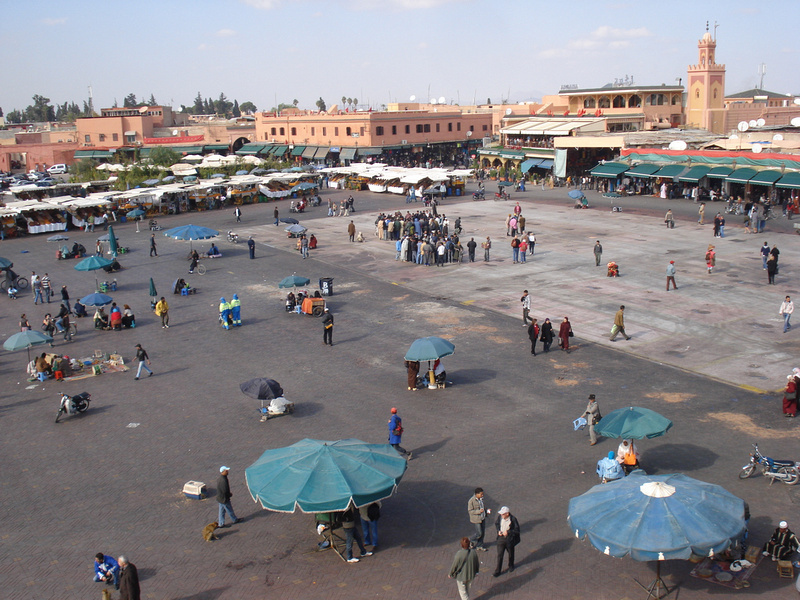 Djemaa El Fna, Marrakech: A sensual attack – By women-on-the-road.com. A Year in Marrakesh by Peter Mayne. Peter Mayne (1908-1979) in this 1953 classic captures the very essence of the people and place. Having already learned to appreciate Muslim life when he was in Pakistan, Mayne bought a house in the labyrinthine back streets of Marrakesh. He wanted to settle there, not as a privileged visitor in a hotel or grand villa, but as one of the inhabitants. Marrakech Photo Gallery – Photo gallery of my visit to Marrakech.